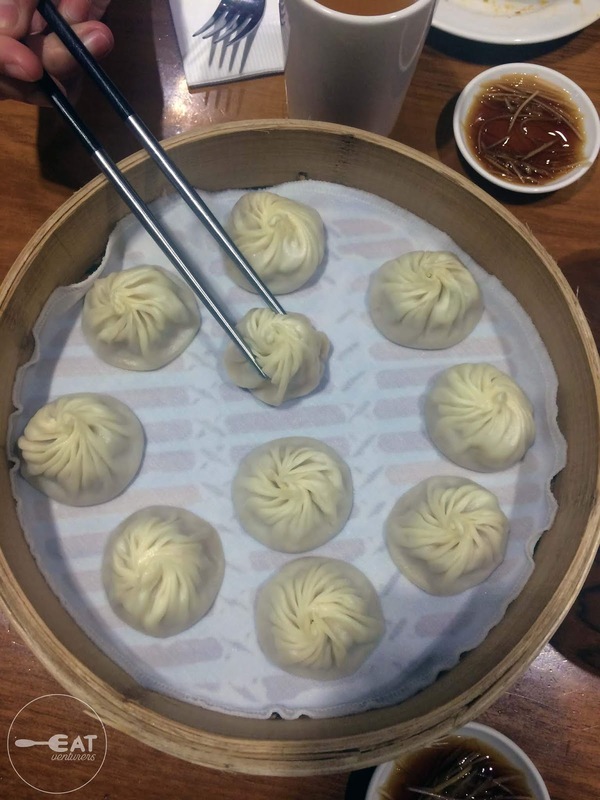 Xiao Long Bao or XLB for short, is a steamed soup dumpling. It is traditionally served in “xiaolong,” which also means a small bamboo steaming basket, where its name was derived. The dish was said to be originated in the Jiangnan region and always referred to in the areas of Shanghai and Wuxi. In the Philippines, several Chinese restaurants and stalls offer xiao long bao, with some of them are franchises from other countries including Taiwan and Singapore. First on our list is this contemporary restaurant that serves Taiwanese cuisine, Lugang Cafe. Said to be the latest incarnation brought by Bellagio Group of Restaurants, Shanghai and Beijing, Lugang the first branch outside of China, is known for its dimsum treats. It has been named one of Philippine Tatler's 100 Best Restaurant Awards. 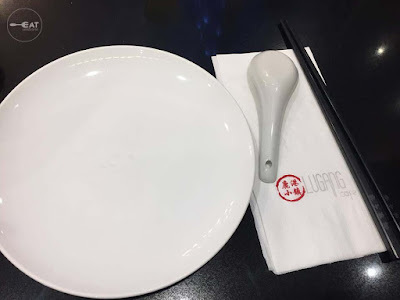 We dined at its SM North Edsa The Block, SM Megamall Fashion Hall and SM Aura Premiere branches and we never failed to order its steamed pork xiao long bao (P258 for 8 pieces). Lugang said its XLBs are made with special dough and created in daily batches to maintain its freshness and we agree. The silky and thin dough is stuffed with top quality ingredients. The XLBs are a bit pricey but are always freshly steamed and served hot, just the way we like it. We commend how the tasty pork fillings were also equally-sized in all of the XLB. Unlike other restaurants, however, Lugang's XLB is not served with black vinegar sauce. 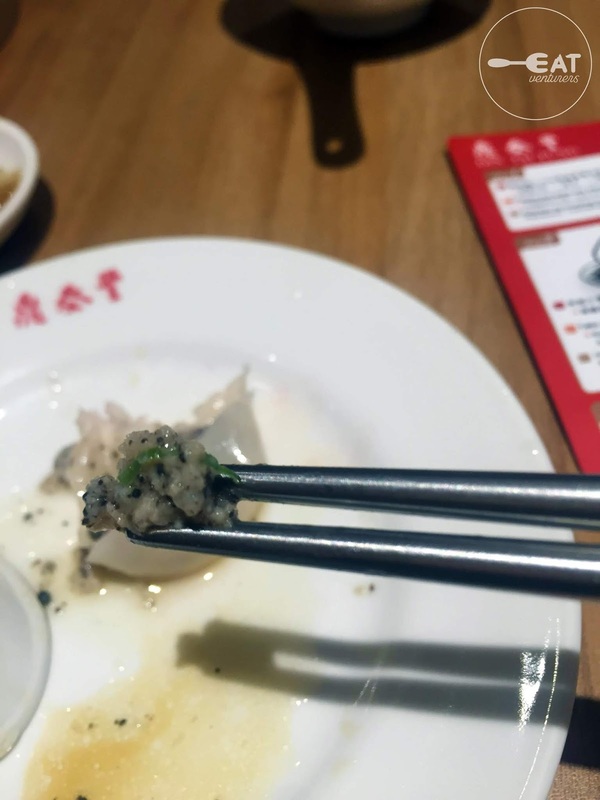 We would've wanted to pair it with the usual black vinegar sauce but its gelatinous soup suffices. You can also put a hint of spicy chili oil, if you prefer it to be spicy. Lugang also has branches in SM Mall of Asia, Glorietta 2, Robinsons Place Manila, and O' Square Greenhills. Next on our list is this Taiwanese restaurant that opened in the Philippine shores in 2017, Fat Fook Manila. This chain is reportedly from the same group as Ramen Nagi and Aikimatsu. 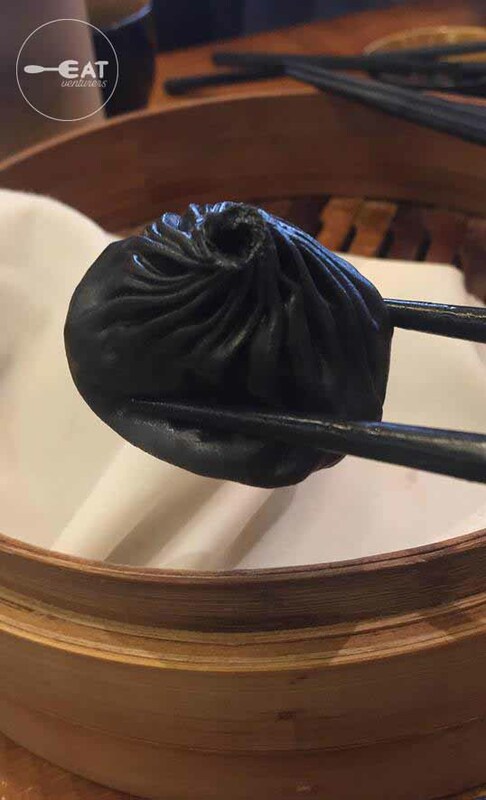 Fat Fook Manila offers dishes from Taiwan such as noodles and rice bowl meals but it boasts its signature xiao long bao, which can be served in five pieces (P138) or eight pieces (P198). 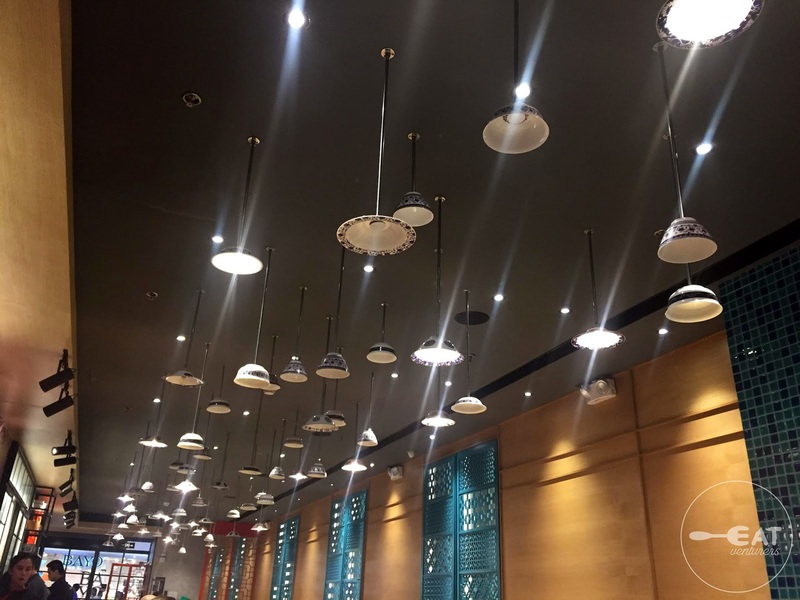 The XLB set is a steal for its price as you can get it cheaper than other restaurant chains. The XLBs are served traditionally with black sauce vinegar and ginger. 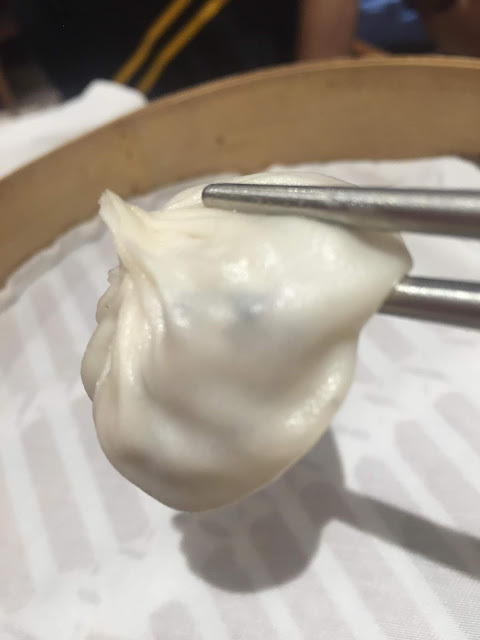 The Eatventurers found Fat Fook’s XLB filling because it had the right amount of pork meat stuff in its thin sticky wrapper. It’s just as flavorful as the others, however, we feel like it’s not “soupy” enough. The broth must have dried up since it was served really hot but we’d like to give it another try. For limited time, we heard that Fat Fook also serves giant XLB. They also offer salted egg versions of it and we are looking forward to try those on our return. Currently, Fat Fook has branches in SM North EDSA, SM Mega Mall and Robinsons Galleria. Now if you wanted a unique kind of XLB experience, The Eatventurers also tried out Paradise Dynasty known for its colored Xiao Long Baos. 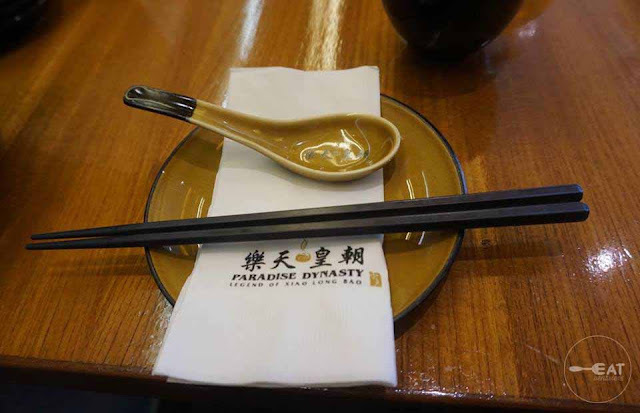 Paradise Dynasty, which originated from Singapore, introduced the world’s first eight international flavored XLB. 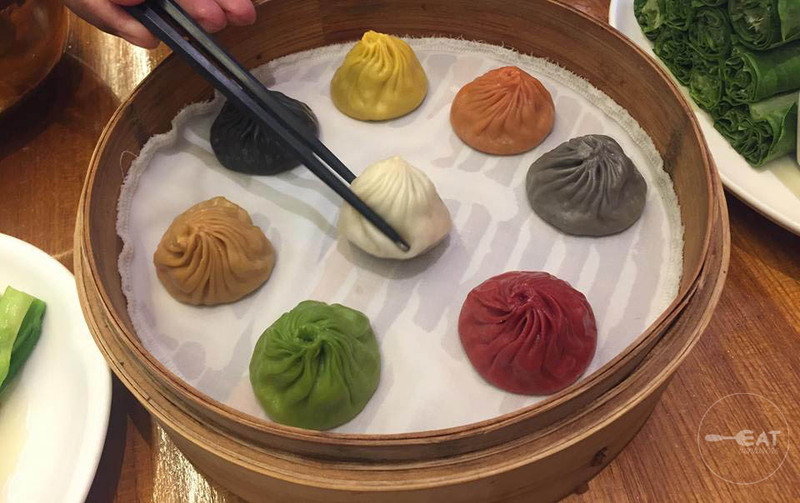 These award-winning colored XLBs (P388 per set) elevate the gastronomical experience with these flavors: Original, Ginseng, Foie Gras, Black Truffle, Cheesy, Crab Roe, Garlic, Szechuan. The flavored xiao long bao’s colors are white, black, orange, red, green, among others, depending on the flavors. Rest assured that these are extracted natural flavoring. 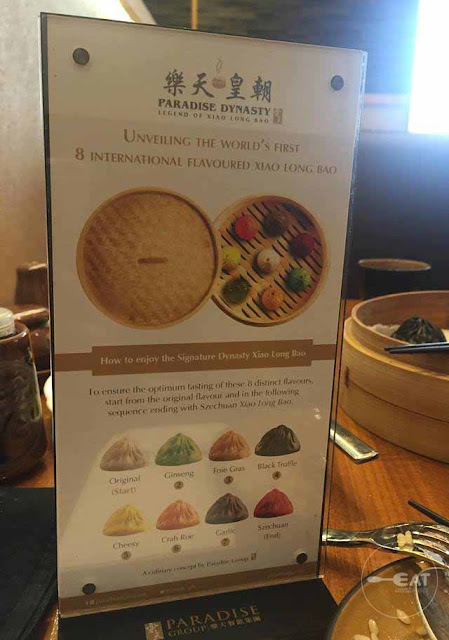 “To ensure the optimum tasting of these 8 distinct flavors,” Paradise Dynasty recommended an order by which you can enjoy your XLV experience. One should start eating the original XLB and end it with Szechuan. 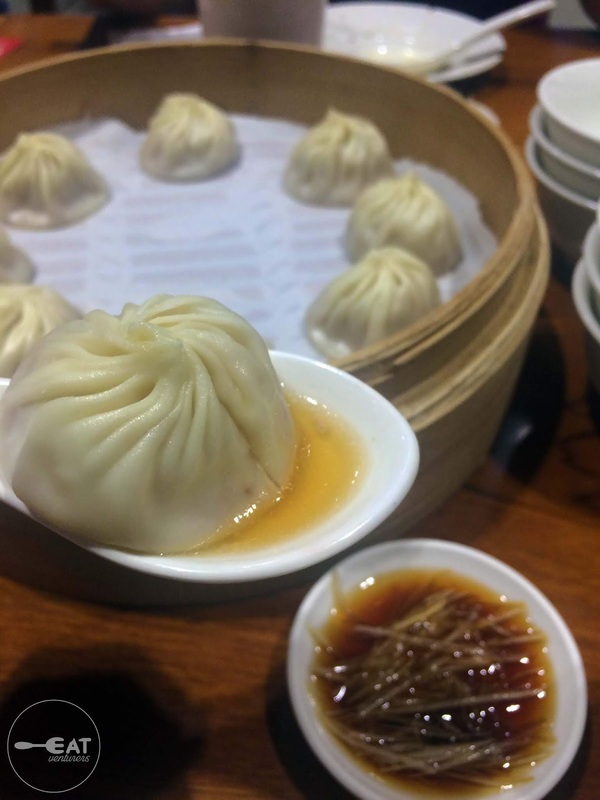 Our personal favorites are the original, foie gras, black truffle, and garlic as these had tasty broth and the XLB’s meat are bursting with their own definite flavors. Our least favorite was the Szechuan, because although we are aware that this is going to be spicy, we didn’t know that it would be too hot to handle even with just a small amount of meat. If you are into spicy flavors, then this is a way to end your XLB food trip with a bang. We recommend trying the Paradise Dynasty’s signature 8-flavored XLB alone for a full Xiao Long Bao experience, so you can get to try all flavors in one-seating. The restaurant still offers these flavors in single baskets for six or eight pieces. 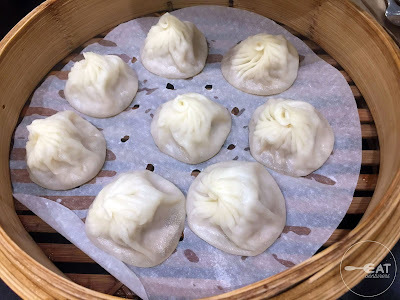 The Eatventurers also recommend ordering the original XLB worth P188 per six pieces, and P298 per 10 pieces. The original XLB are described to be filled with non-oily clear broth and had 25 grams pork per piece stuff in its “intricately thin skin.” It also has a fitting “springy texture” as it has delicately 18 folds. Paradise Dynasty can be found in S’Maison in Conrad Manila, The Podium, and SM Aura Premiere. Taiwanese global chain Din Tai Fung is best known for its xiao long bao—attracting long queues for a taste of its heavenly soup dumplings. It was voted by The New York Times as one of the top 10 restaurants in the world in 1993. One-half of The Eatventurers was lucky to have eaten in one of Din Tai Fung’s branches in Taiwan: at the Shin Kong Mitsukoshi’s Taipei Hsinyi Place A4. Din Tai Fung’s classic Pork Xiao Long Bao lived up to its Michelin star-winning reputation. Placed inside a bamboo steamer, the neatly pinched dumplings were delicate. The juicy pork meatballs sitting in savory broth were divine. Don’t forget to douse the dumplings in a mixture of vinegar, soy sauce and ginger strips for a more remarkable dining experience. The Green Squash and Shrimp Xiao Long Bao also tasted pretty good. The carefully-selected Taiwanese green squash added a refreshing taste to the soup dumplings. 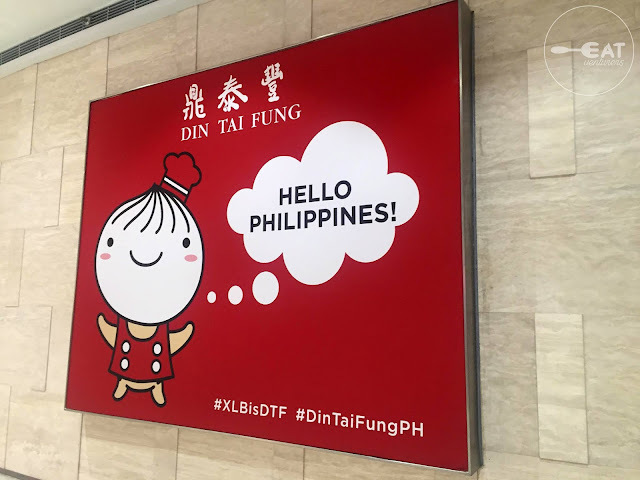 You don’t have to go to Taiwan to have a taste of the world-famous Xiao Long Bao as Din Tai Fung can be found in SM Megamall, Bonifacio High Street and Power Plant Mall. 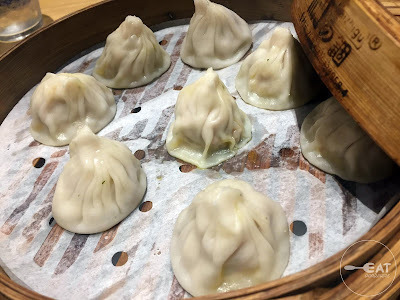 We tried the Truffle and Pork Xiao Long Bao in Din Tai Fung's first Manila branch, at SM Mega Fashion Hall and was not disappointed with its luxurious taste. It's pricey at P135 piece but worth a try. Like the usual description of black truffle, it is very "earthy and pungent" but it complements the dumpling's soup just the same. 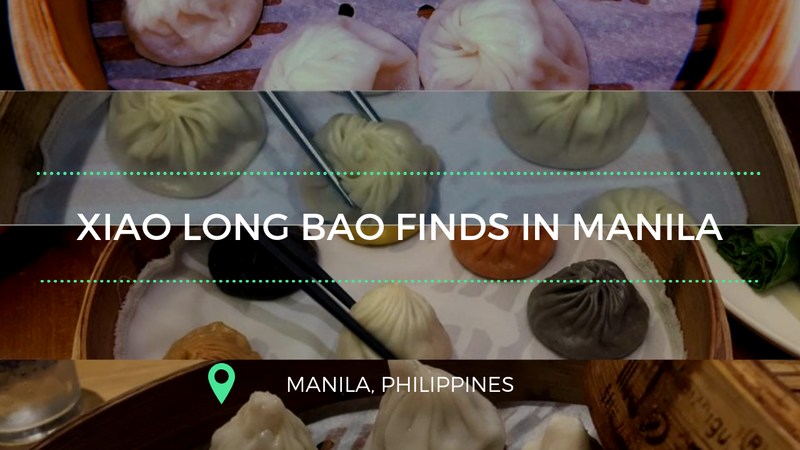 The Manila branches also offer the following XLB: Chicken, Crab Roe, Green Squash and Shrimp. Note that the Power Plant branch has a Xiao Long Bao bar. ***Disclosure: Not sponsored. 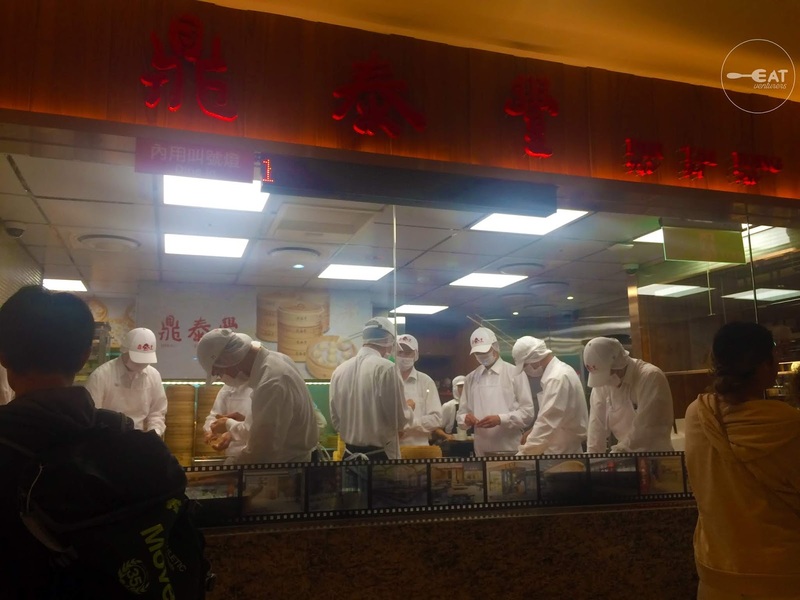 Meals were paid by The Eatventurers except for the Taiwan Din Tai Fung XLB.